Tonight, the guests played a game titled ‘Mukka Maar’ in which they had to give answers to the questions asked and if any one of them gave an incorrect answer then every time he/she gets a punch with boxing gloves. The game brought a hell lot of fun to the show. Further, Himesh made it clear so as to why people should watch his upcoming film. During the audience session, the fans who came to meet their stars asked many questions from both Himesh and Sunidhi. On one hand, some of the audience made everyone aware of something unique in their stars and on the other hand, rest of the people created a fun environment and enjoyed it. Teraa Surroor stars Himesh Reshammiya, Farah Karimi, Naseeruddin Shah, Shekhar Kapur and Kabir Bedi. The whole team of CNL created a comedy environment and everybody enjoyed it. Suresh Lahri created musical scenario too by singing in his beautiful voice. 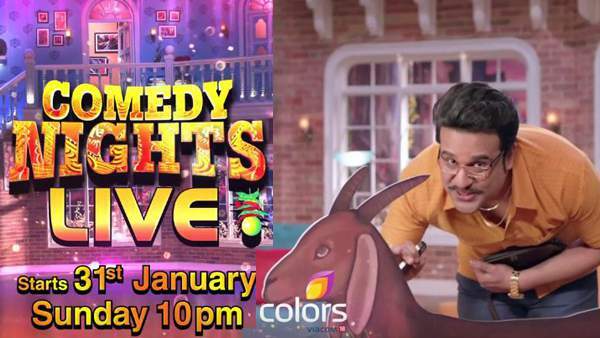 Krushna added punches and told everyone some of the stories associated with the guests of the night. Himesh once again confirmed that his movie was earlier named as ‘Guns and Roses’, but later on, the name got changed. Himesh Reshammiya and Farah Karimi in a scene from Teraa Surroor movie. Directed by Shawn Arranha, Tera Suroor is slated to release on March 11, 2016. Further, the lead actor gave some leads/hints regarding the film. On the whole, the episode was fun to watch. Like every other episode, the hosts made fun of each and every statement of the guests this time too. Stay tuned to The Reporter Times for latest Entertainment news and TV show updates. Don’t forget to share it on social media to let others also know.